APX Darling Harbour is conveniently located in the heart of Sydney’s entertainment district which makes it easy for our guests to explore all that the city has to offer. Overall disappointed with my latest experience. 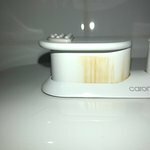 This is the third time staying at this hotel and my experiance was discustingly dirty and unplesant. 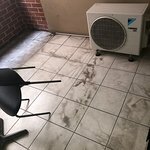 The original room I was put into had a balcony that was covered in dirt so much that I was a unable to go onto it without becoming dirty, after taking a shower I unfolded a towel to use and was shocked to see brown marked and stains on the towel that looked like makeup or something like that. After seeing this I took a photo of the towel and noticed that there was also markes on the bed comforter. I called reception and explained the situation and they send a housekeeper up to the room who offered to change the sheets and towels to this I declined and went to the front desk to be moved to a different room due to the multitude of issues. One I asked to be upgraded/moved the reception gave me a key and I moved to the new room, I looked around the room to make sure everything was fine and noticed straight away that there was a big brown stain on the floor right to the bed. After taking photos I went back to the reception and showed this stain in the second room I was moved to and the receptionist said he would need to come see the stain in person and then he would move me rooms again. Once he saw the stain in the second room he gave me the keys to the third room which was clean and perfectly fine other then the dirty balcony the same as the previous two but that I would deal with compared to the other issues in previous rooms. Overall disappointed and was only compensated by being offered a free mini bar which included a total of 3 drinks and no food so I had 2 of the free drinks land left the others. Photos provided of the issues experiance from all 3 rooms. Thank you for choosing to stay at APX Darling Harbour and for taking out your valuable time to give us a constructive feedback. While we respect your decision on not wanting to stay with us again I do hope that you shall provide us with another opportunity to play host to you which will allow us to truly show you what our APX hospitality stands for and provide you with a far better overall experience. We arrive and given our key, go to our room only to find it was not cleaned from the people before us. We ring the reception for 5 minutes and no answer. So we go back down tell them what happen and we get another room. This one is clean but smaller then what we had booked. We tell them it's false advertising ect. Anyway we take the room as we had a long day and just wanted to rest. Location is good, all you can smell is food from down below all the restaurants. The room we were in had no view just looking Into people's units which was disturbing for us,so we had the curtains closed the whole time of our stay. I would not recommend to anyone if I'm being honest. Maybe we went on a bad day but it was not enjoyable for us. Very well located if you need to be near Darling Harbour, and right in Chinatown. Lot's of good food options nearby. The hotel is very basic, smallish rooms, standard TV, no cable, bed I had was fairly uncomfortable and sagged in the middle. Room was clean enough, but small shower and bathroom. I'd struggle to rate it a 3 star establishment as there are no on site services and due to the rooms. If you need to be in Chinatown it DH, worth considering but ensure you get a good price, or I'd suggest looking elsewhere. The team is happy to learn that you were very impressed with our convenient location and room cleanliness and we would like to let you know that it was a pleasure to be at your service during your stay. I greatly appreciate your comments about the aspects of the rooms that need upgradation.The property is currently going through a full renovation and the new rooms have been very well received by all our regular guests. We look forward to the pleasure of welcoming you back again.